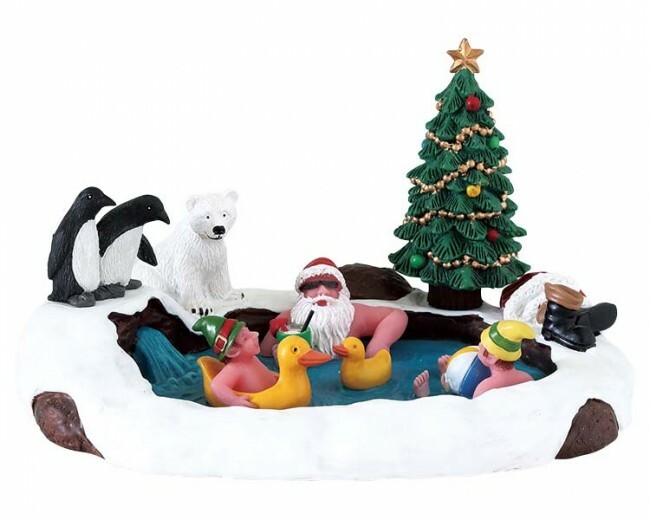 Lemax North Pole Hot Springs Table Accent depicts a wonderful relaxed scene of Father Christmas enjoying a hot natural sauna with his hard working elves. 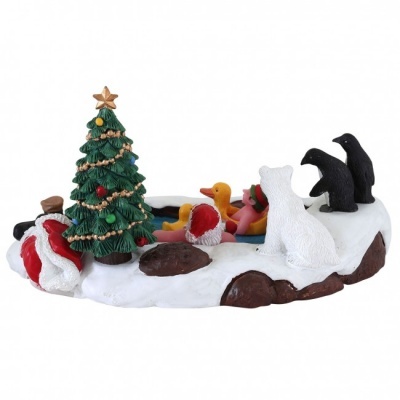 A happy Lemax table piece suited for placement in a Lemax seasonal Christmas miniatures display. Another popular addition to the Lemax Village catalogue, joining the Santa's Wonderland collection in 2018. 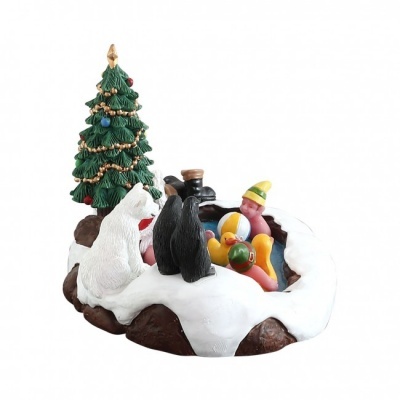 North Pole Hot Springs comprises multiple figurines and Christmas tree mounted on a single snowed base to compliment your seasonal Lemax Village display.